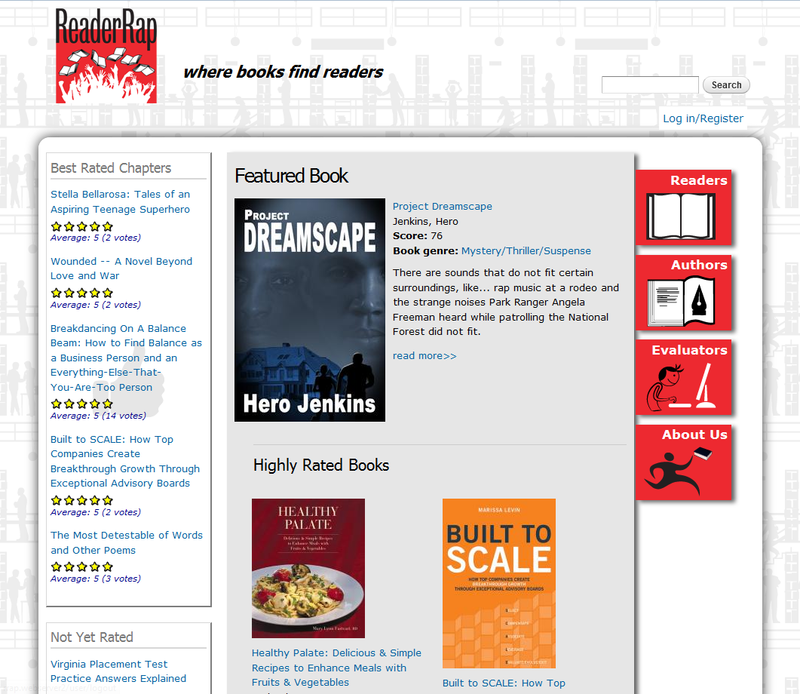 A cool new startup, ReaderRap is an online gathering place to market and increase publicity for self-published authors. Three different audience types (authors, readers and evaluators) all required unique workflows and permissions to provide a great user experience. We created the ability for each audience type to accomplish their desired tasks. Authors can post the details of their book and choose to submit payment for posting a chapter for readers or the entire book for evaluation. Readers can register for an account, search for a book by genre, read the book summaries and read a sample chapter. Then they could vote on the book and submit comments. Highest rated books appear on the home page. Evaluators review the author's complete book, post the evaluation, and score the book. The highest scored books appear as featured on the home page.